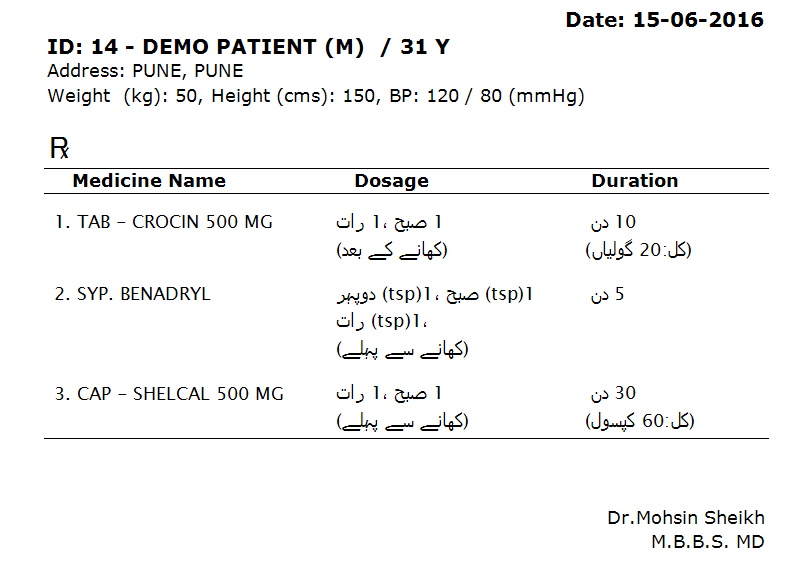 With that, we address the growing need of patients wanting prescriptions in their native language. It helps them feel comfortable during taking medications and understand the instructions precisely the way Doctors want to convey. Urdu language especially had its own challenges while implementation. Being a language which is written Right to Left, we had to ensure the overall interpretation of prescription, which is a mix of English and Urdu is going to be perfect. With great help from existing Doctors and friends, we were able to implement it to great satisfaction. Now that the software is released to market and open public, waiting for feedback from the field. Get on to a never ending journey of using technology and get the MyOPD Experience. http://www.myopd.in/ and try it out. Drop a mail to [email protected] and we will be happy to help.